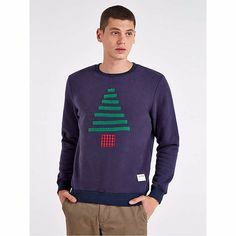 What a winner this jumper is! 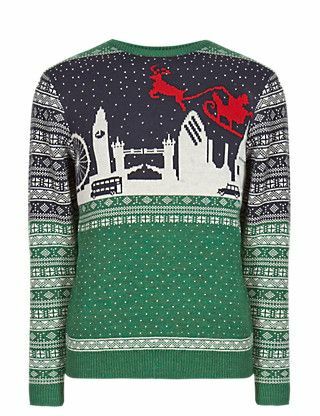 Featuring the land marks of london in the snow with Santa doing his rounds. Perfect for a romantic Christmas date ice skating at Somerset House! 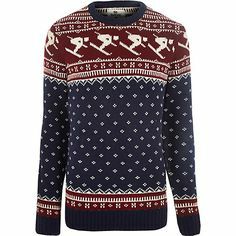 A stylish, sporty little number that we think would look great all through the Christmas hols, whether you’re indulging in some winter sports or relaxing at the bar with a winter ale. 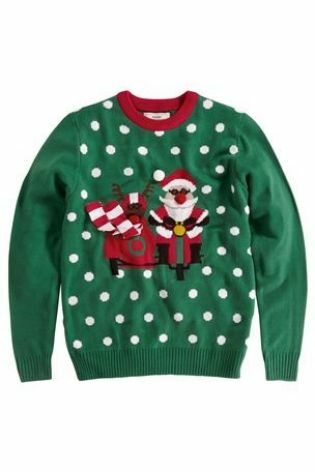 Men’s Christmas Jumper – Santa on a motorbike with Rudolf in side car. Green jumper featuring 3D flyaway scarf. The girls love getting dressed up at Christmas, so why should we guys miss on the fun? White snowfall on a green background featuring Santa and Rudolf driving through yet another snowstorm in a motorbike and sidecar. 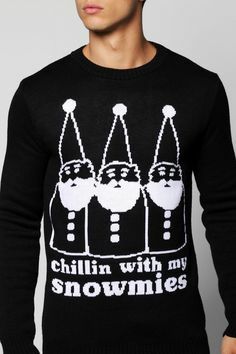 Santa has a 3D flyaway scarf which adds another dimension to the term ’embellished Xmas jumpers.’ Caution, only buy this sweater if you are looking for a high octane, liberating and innovative fashion experience!